It is true that everyone wants to be fairly paid according to their skill/qualification or the effort they put into what they do. The fact about work and pay is that it is often times misinterpreted, many people may end up not getting equal pay for their skill or qualification not because they are disadvantaged, but because of various factors that can result in pay gap. See below the top 10 countries you can earn the most and understand some reasons for pay gap. One of the major causes of pay difference is location. Have you ever wondered why many people travel or relocate to different countries? Have you ever imagined if you would be getting a higher pay if you were doing the same job, but in a different country? 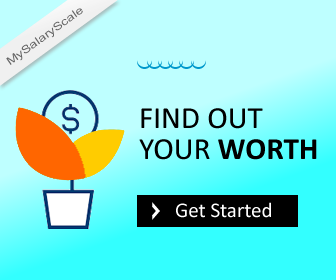 Have you ever felt like you have not been truly paid what you are worth in your present location, and you are looking forward to finding a country that will help you discover your real worth? Then you are close to finding the answer to your many questions. 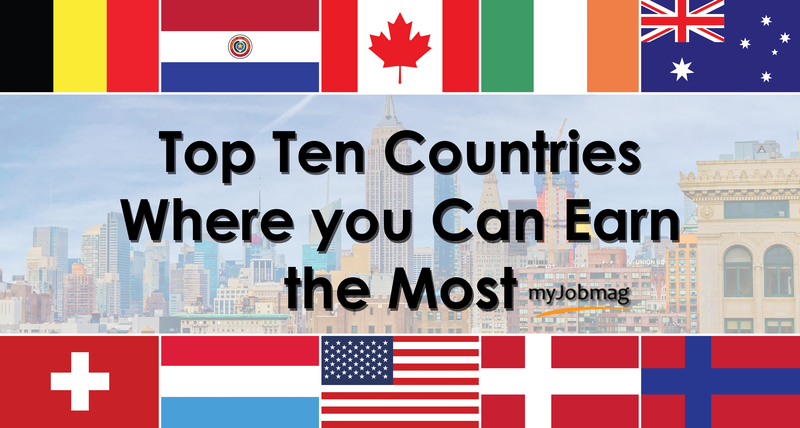 Clear your doubts and take a quick look at the top 10 countries where you can earn the most by getting the best job opportunities you can ever imagine. Below is an overview of the top 10 countries where you can earn the most based on GDP and average per capita income. It is also important for you to note that the figures given below are averages that will subject to review from time to time. Switzerland has one of the most advanced economies in the world. 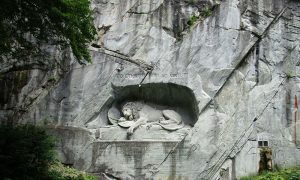 The economy of Switzerland is very advanced especially its focus on tourism and service. It is normal for us to think of Switzerland and think of goods and common items we are used to buying. This is because Switzerland’s economy is based on manufacturing to a large extent. Switzerland is said to have the most vital manufacturing sector in the whole of Europe. The economy of Switzerland is dependent on banking with foreign investment that contributes to a big part of their economy. Political stability, transparent legal system, exceptional infrastructure, efficient capital markets, and low corporate tax rates also make Switzerland one of the world’s most competitive economies. As one of the world’s largest economies, Luxembourg’s economy is known for its strength in the financial sector. Luxembourg operates a very open economy with high growth potential, steady economic foundations, diversified industry, modern infrastructure and an admirable market connectivity. Luxembourg maintains a good and healthy budgetary position, and has the region’s lowest level of public debt. This region is known for high levels of regulatory transparency and efficiency that encourages entrepreneurial activity. Luxembourg is popularly referred to as ‘the green heart of Europe’ because the country has a reputation in Europe as one of the greenest countries. The economy of Luxembourg is largely dependent on the banking, steel and industrial sectors. Luxembourg is known for its stronghold in the financial sector, and as such remains a financial powerhouse. The financial sectors account for more than 35% of the GDP due to geometric growth of the investment fund sector through the development of cross border funds (UCITS). Luxembourg is one of the world largest investment fund asset with $4 trillion of assets. 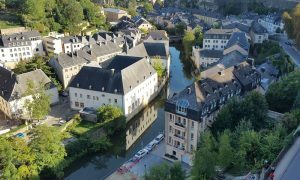 As one of the world largest economies, Luxembourg is that one place that can influence your earnings positively. The United States of America is the third largest economy of the world with a mixed economy structure. The economy operates a free market economy in consumer goods and business services. The US government imposes regulations to protect the good of all and the economy. The government imposes some regulations in defense, retirement benefits, medical care and in many other areas. The United States constitution focuses on protecting the mixed economy system. 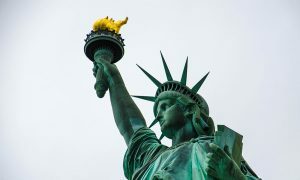 The United States is one of the world’s richest and diversified economy. Trade is a key factor in the US economy, with a combined value of exports and imports that equals a total of 28% of the country’s GDP. The U.S. leads the world in computers, pharmaceuticals, and the manufacture of medical, aerospace, and military equipment. Although services account for about 80 percent of GDP, the U.S. remains the world’s second-largest producer of manufactured goods and the leader in research & development. The United States is one common place to search for greener pastures. So if you are looking for a place where your skill/qualification will match your earnings at the end of the month, then the United States should be a choice place. 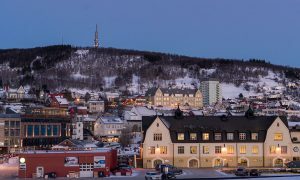 Norway ranks as one of the top countries with the most stable economies in the world. Norway runs an open market system that fosters the practice of a mixed economic system with both privately and publicly owned enterprises. Norway has enjoyed a stable economy because of its rich endowment of natural resources and its vibrant private sector. Trade is a significant aspect of the Norwegian economy; the combined value of exports and imports equals 66 percent of GDP. Government policies generally do not significantly interfere with foreign investment. The financial sector is market-driven, even if the state retains ownership of the largest financial institution. Norway is richly endowed with natural resources like oil and gas (hydropower), fish, minerals, fish and forest. Norway is a leading producer and the world’s second largest exporter of seafood. The government manages the country’s petroleum resources through regulation. The petroleum sector provides about 9% of jobs, 12% of GDP, 13% of the state’s revenue, and 37% of exports, according to official national estimates. Norway is one of the world’s leading petroleum exporters. Oil and natural gas exports contribute 17% of the national GDP. If you looking forward to earning well working in the oil and gas industry, then relocating to Norway will be a good idea for you. Denmark appears to be one of the wealthiest countries of the world. Denmark was nominated 7th best country for business. Denmark economy operates an open-market policy that sustains investment flow, flexibility and competitiveness. Denmark’s modern market economy features highly technology-based agricultural sector, with world leading firms in pharmaceuticals, maritime shipping, and in renewable energy. The economy of Denmark depends largely on foreign trade. Denmark is a net exporter of food, oil, and enjoys a good balance of payment surplus. 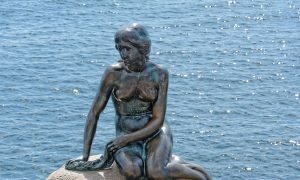 The Danish economy is characterized by government welfare measures and equal distribution of income. Denmark is a major exporter of agricultural products (meat, fish, dairy, among others). Most of the Danish land is used for agriculture, and there are more than 50,000 farmers in Denmark. Nearly 90% of the country’s agricultural revenue comes from livestock production. The services sector contributes around three-quarters of GDP and employs the largest share of the population (75.6%). Denmark has a strong banking sector, characterized by a high degree of concentration: domestic banks own more than 85% of the total assets, and three banks control 50% of total assets. The Danish economy is small, open and highly geared to trade with other countries. Denmark maintained a healthy budget surplus for many years. 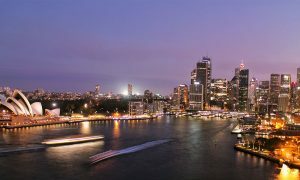 Australia could be a perfect choice if you are thinking of relocating to increase your earning power. Australia combines a beautiful environment, lovely weather and one of the most stable economies of the world. 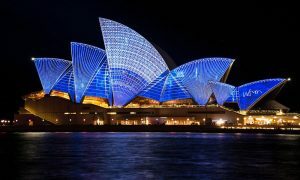 Australia is characterized by a large number of big companies in the world. The economy of Australia is dominated by its service sector and agriculture. The country’s income per capita head is one of the highest in the OECD area. In recent years, Australia has experienced an improved standard of living. Australia has set a notable standard of having a really high minimum wage over time. However, Australia is also known for having put a big focus on their exporting. They export a huge amount of food, oil, and materials. They’re known for not relying on importing goods from other countries. The country is known for its geographical diversity including mountain, deserts, and tropical rain forests which makes it a good pick for tourism. The unemployment rate in the country is relatively low. The federal minimum wage in Australia is around $17 US dollars an hour, the highest of any country in the world which makes Australia one of the best countries where you can earn the most. Ireland is ranked as one of the wealthiest countries of the world with a small open economy that is largely dependent on international trade influenced by global markets. Ireland is known its low corporate taxes and high technology-based labour pool that attracts foreign trade multinational. Ireland’s strong economic fundamentals are undergirded by solid protection of property rights and an independent judiciary that safeguards the rule of law. Ireland is ranked as one of the top richest countries in the world with an economy that is largely dependent on the services sector and trade. With a buoyant economy, the Irish are known to have a good standard of life, as well as high-paying jobs. Since Ireland has the highest number of high-paying jobs in the world, then relocating to Ireland could that ones in a life time decision you will need take. As one of the most developed countries of the world, Netherland is known for its ownership of many industries and its high level of productivity in agriculture. Netherland may appear to be one of the smallest countries in terms of population, but it’s a big player in the world’s trade and global transfer of capital. Netherland is one of the top countries in the world with a leading global knowledge economy. According to history, Holland has a firm history of invention, trading with other nations of the world. Trade is really an important aspect of the economy. Netherland is ranked No. 3 in the world by Forbes’ “Best Countries for Business” making Netherland a world class business destination. The biggest world’s companies like Shell, Unilever, ING group and ABN AMRO are based in the Netherlands. 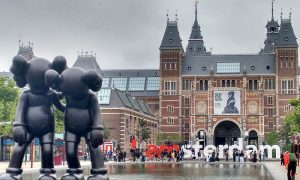 In addition to its corporate tax structure, Netherlands has a highly educated, multilingual workforce, superior logistics and technological based infrastructure. No wonder many multinational businesses chose Netherland as the place for business. Aside having an outstanding business climate, the Netherlands offer an affordable cost of living and an exceptional quality of life. Staying in Netherland offers you the opportunity of working for big businesses and multinational companies. As the country with one of the largest economies of the world, Canada records one of the most popularly visited countries because of the high standard of living that Canadian enjoy. One of the major cause of the country’s booming economy is foreign trade. As one of the largest countries of the world, 20 percent of the world’s fresh water is located in Canada, and 31 percent of the country is covered by forests. The services sector is also quite big with three-quarters of the population being employed in it. What’s important to know is that the cost of living in the UK and Canada is similar if not higher in the UK. Canadians approximately work for an average period of 32 hours per week, giving chance for work/life balance. 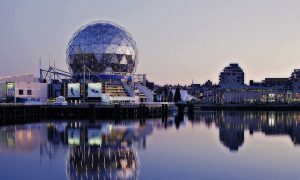 If you searching for a place where you can earn well with a flexible work structure, then Canada should be place of your dreams. Belgium is known for its highly developed transport network that has helped the country develop a well-diversified economy with a large mix of transport, services, manufacturing, and high tech. 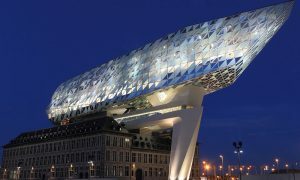 The modern open market of Belgium is a private-enterprise based economy that is capitalized on its central geographical location and its diversified commercial based industry. Overtime, Belgium has developed a free market economy that is based on both the industrial and service sectors. Belgium is heavily dependent on international trade and most of its economic sectors are channeled towards exporting products. The country’s export history has given it a reputation among the highly developed economies of the world. Metallurgy, steel, textiles, chemicals, glass, paper, and food processing are the dominant industries in Belgium. Belgium is one of the countries with the highest average wages as a result of its expanding and booming economy which makes it one of the top places you can earn fairly well. Redirecting your career and relocating to any of these countries could be that great financial shift for and your career. It is also important to note that a good knowledge of English is necessary for communication in any of these countries. Learning the local languages can also put you in a more advantaged position. Even if relocating to any of these countries can help increase your earning power, it is also advisable for you to look forward to making a change in your current location by adding value and giving back to the society. You can reduce brain drain by looking out for ways to increase your income in Nigeria. I think I would need to bookmark this website. You are actually proving good and right information. Thanks a lot for this pieces of information. Thanks a lot once again.